Proverbs 18:15 Intelligent people are always ready to learn. I hope you are all doing good. I believe that in one way or another, we are doing whatever it takes to be financially educated. 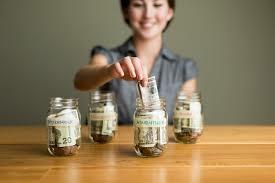 I recently read somewhere that Chinese people between 40 to 65 years of age are responsible for most of their savings. We all know that probably the one child policy at the time pushed these guys to even save more since they had no major expenses in terms of large families and such money is able to take them through their retirement or old age. Robert Kiyosaki had to say this about financial education "Today financial knowledge is more powerful than a gun or the whips and shackles of slavery. 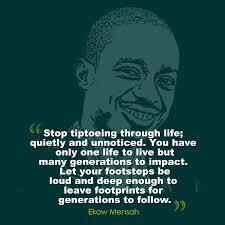 The lack of financial education enslaves billions of people in all parts of the world." We all know from the wise saying, "My people perish for lack of knowledge". To liberate yourself from ignorance and enslavement of the mind - Read, read, read. If you can take at-least 30 minutes a day to study something in regards to this area of finances, then you will be educating yourselves. We all know that this subject of financial education will or might never appear in school curricular but we have to go out and seek such knowledge. The writer in proverbs said it clearly, Intelligent people are always ready to learn, their ears are open to knowledge, I hope you are in this bracket and seeking to improve yourself so that you can help others as well. We all can't be blind, it can be devastating. 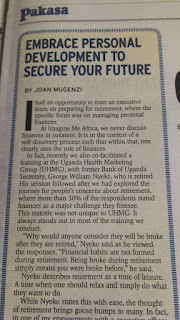 This what My Uncle, George William Nyeko said about financial habits in regards to retirement, he was quoted in one of the articles written in the New Vision this past weekend. 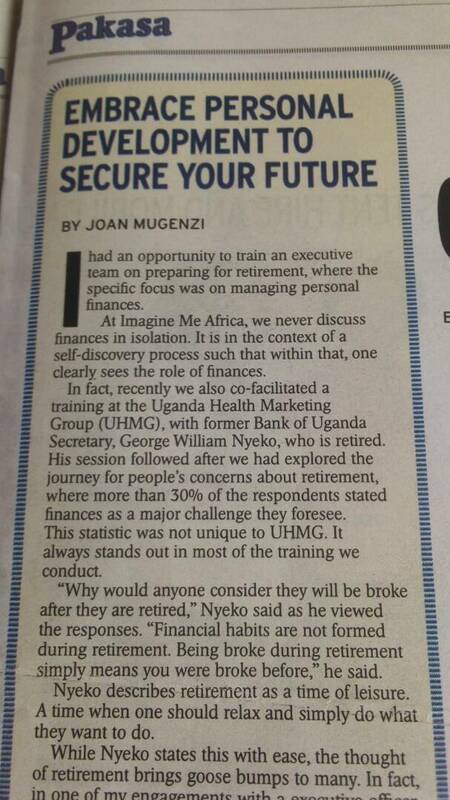 He said, "Why would anyone consider they will be broke after they are retired? Financial habits are not formed during retirement. Being broke during retirement means you were broke before." We have read this before a quote from Dave Ramsey, that "Personal finance is 80% behavior and 20% head knowledge", our financial habits have to be checked. Are you consuming more than you are investing? Are you rejecting knowledge more than investing in your mind? Let us seek out wisdom to win in life, read the bible first, it is the best book, read biographies, read books written by experts in this area, read the news papers. 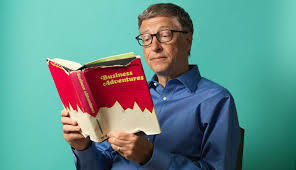 Warren Buffet was asked about his greatest secret, he said that it was voracious reading, this is a trait of many successful people they are rich in knowledge.